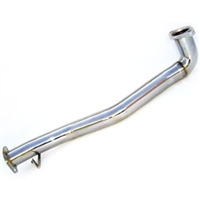 Invidia's 3" (76mm) Stainless Steel Downpipe is a perfect fit for your Evo 8/9. TurboXS 3" Stainless Steel Downpipe for your Evo 8/9. 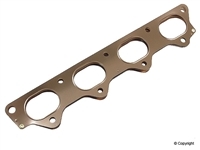 Forced Performance's Evo Race Manifold is a direct replacement for the Evo 4-9. JMF's EVO 8/9 Forward Facing exhaust manifold. JMF's EVO 8/9 T3 exhaust manifold. JMF's EVO 8/9 Twin Scroll Stock Replacement Exhaust Manifold. 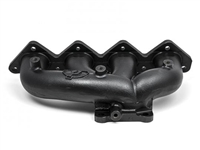 JMF's EVO 8/9 V-band exhaust manifold. Now features an investment cast merge collector. The need for power, quality, and style has once again been executed by Agency Power with their catback exhaust system for the Mitsubishi EVO VIII and MR. This stainless steel exhaust system features a brilliant titanium muffler with a titanium 4.5 inch tip etched with the Agency Power logo. The ETS Evo 8/9 Stainless Steel Catback Exhaust System combines race-inspired looks with ultra high performance quality. If you're looking for the largest exhaust system without sacrificing weight... then look no further then ETS's 3" or 3.5" Titanium Catback Exhaust System for your 2003-2006 Evo! 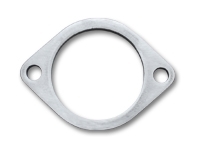 JMF T3 Turbine Inlet Flange for Cast Collector. JMF V-band Cast Merge Collector. 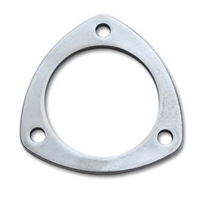 Vibrant 2-bolt 3" Stainless Steel exhaust flange Vibrant 3-bolt 3" Stainless Steel exhaust flange OEM Mitsubishi Exhaust Manifold Gasket. 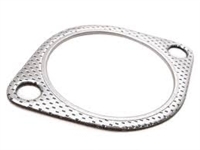 Vibrant 2-bolt 3" exhaust gasket Vibrant 3-bolt 3" exhaust gasket Replace your restrictive OEM cast O2 housing with JMF's recirculated O2 housing for your Evo 7-9. 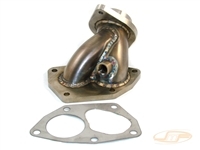 Replace your restrictive OEM cast O2 housing with this free flowing tubular external O2 dump for your Evo 7-9. 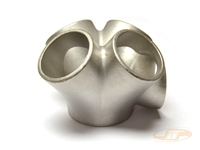 Replace your restrictive OEM cast O2 housing with this free flowing tubular dump for your Evo 7-9. This O2 dump vents directly through your hood vent.